Most orders will be posted to your account within a few days from either the ship date or the order date, depending on the individual merchant policy. If you still cannot find your order in your account after seven business days, you can add your purchase request through our website by clicking Find My Orders, referenced below. 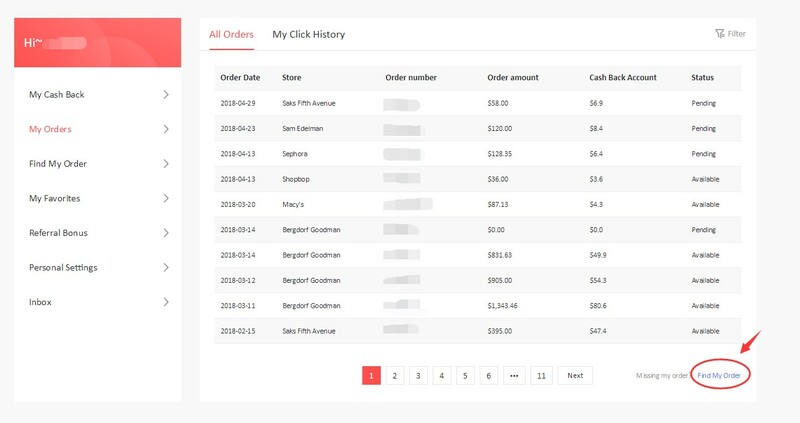 You will be able to submit a missing order inquiry based on your click history. 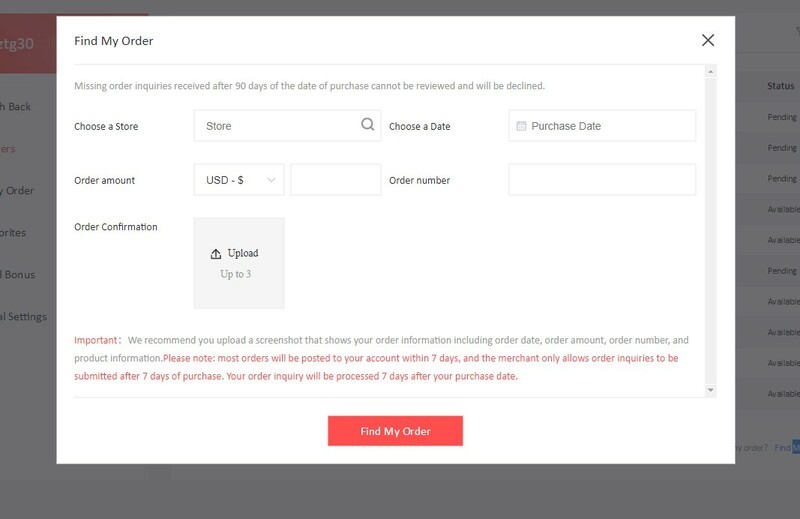 Please input all of the order information you received after your purchase. This should include the purchase date, order amount and ID. Please make sure your order currency is accurate. After we forward your missing order to the merchant, the order status will be updated from PENDING to REVIEWING. We can only post the order cashback to your account after we get confirmation from the merchant that the order is affiliated with gocashback.com. Your missing order will be update from REVIEWING to ADDED if your order is eligible for cash back.